Only a week to go! Only a few more items for my Pinterest reveal tour. Thankfully I’m not an actress or singer who has to face the public everyday. Just to think in seven days millions and millions of potential critics will be reading my book…….. Perhaps I could perform as a stand up comedienne. Or a street cop? Today I’m on the site of cluereview featuring the actual heroine of Shannon’s Law, Shannon Aguerri. Born on a tough south London estate with a West Indian father and an Irish mother she had to fight just to stay afloat. She has a big heart but doesn’t do sentimentality. She likes her cup of tea and her man to be strong with a generous portion of sugar. Her wit is as sharp as the knives she has faced. Cross her and you’ve got an ice cool enemy. If she loves you – watch out for the heat. I was very lucky to have a beautiful and patient model for my cover photo. Readers will draw their own picture of her. There’s a look of daring in her eye that captures her character for me. Emma Thinx: Who dares slims. 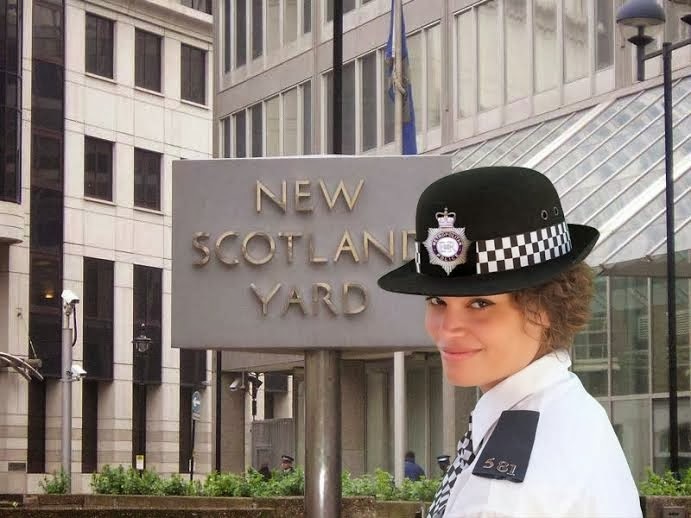 This entry was posted in cluereviewblogspot, Scotland Yard, Shannon's Law, who dares wins by emmacalin. Bookmark the permalink.